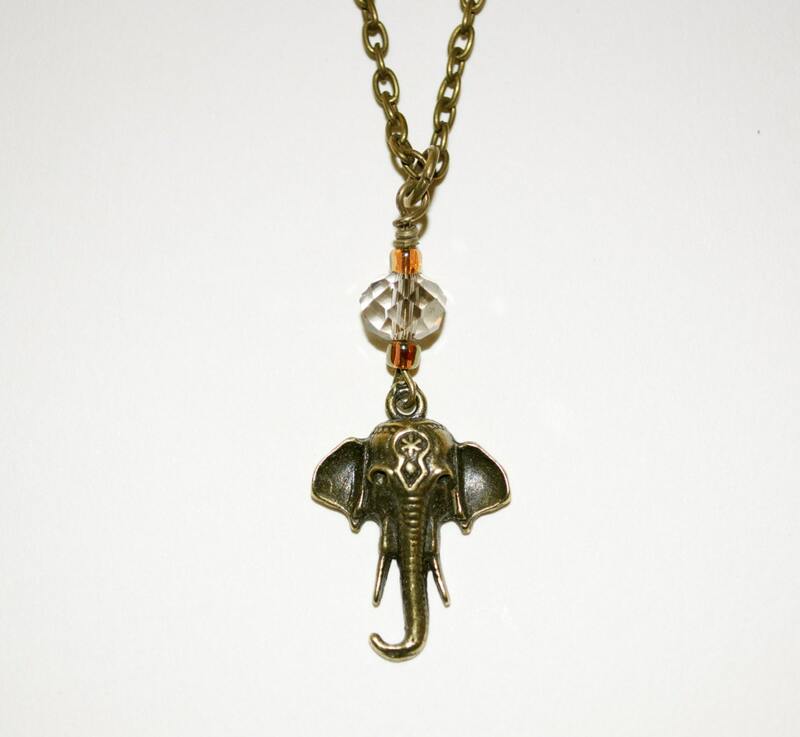 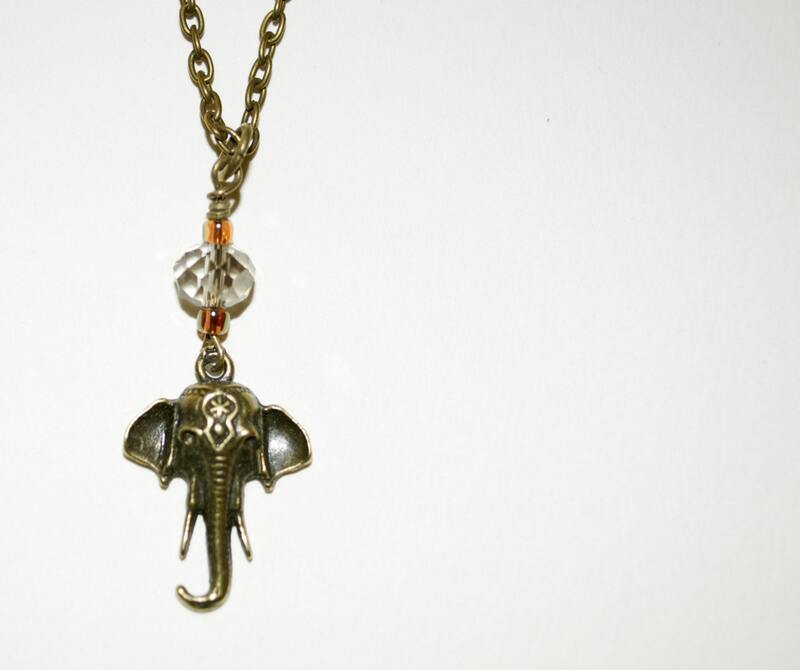 This necklace features a detailed bronze plated elephant head charm, topped off with a Czech crystal rondelle bead in black diamond, and golden seed beads. 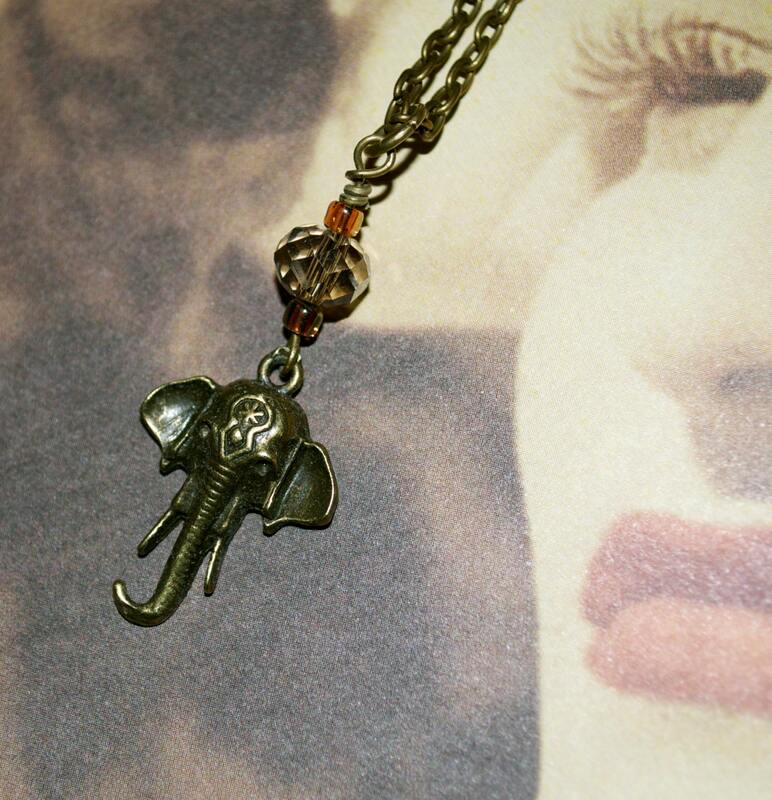 The charm drop is just under 2"/5cm long. 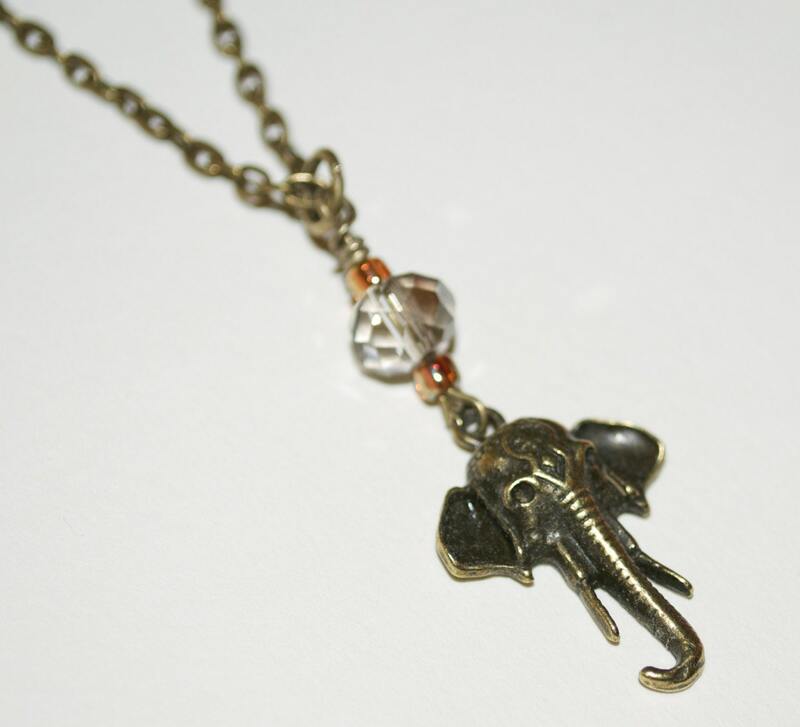 The chain is lead and nickel free and fastens with a lobster claw clasp - please choose your preferred necklace length from the drop-down menu. 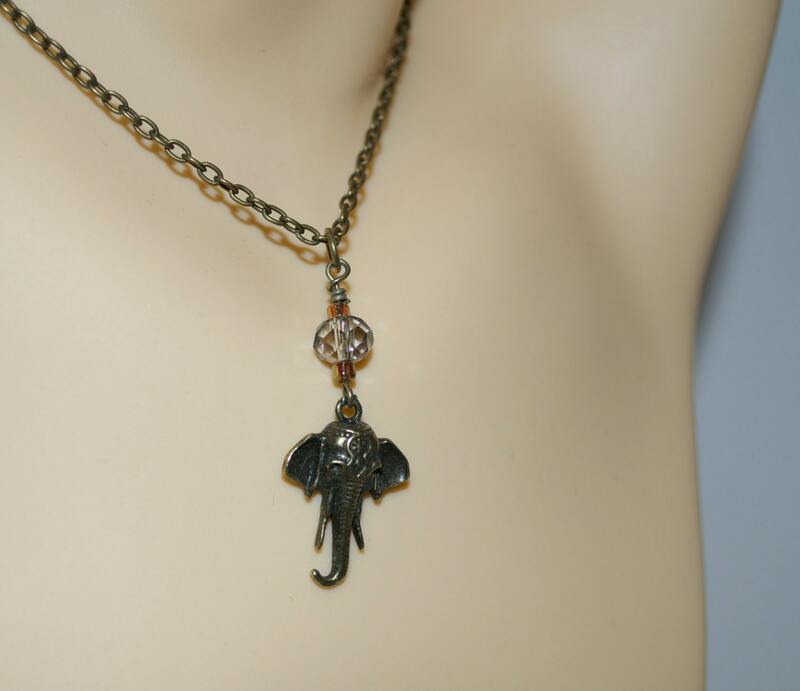 If you would like a length not shown here, please contact me - all chains are cut to size so any length is possible.